auto ballast system(approx. 400 lbs.) 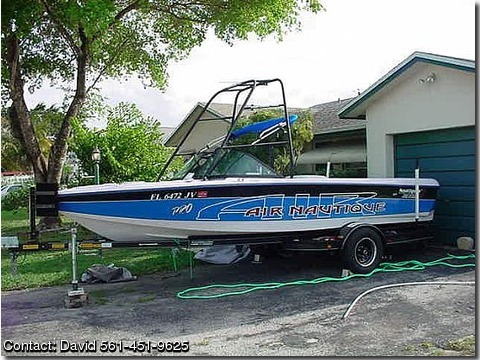 2 extra fat sacs, flight control tower, dual tachometers, single axle trailer, PCM Power Plus Transmission, Teak Boarding Platform,am/fm stereo w/ cd player, Great boat for both water skiing and wake boarding. Passenger seat flips up to reveal extra storage compartment. In floor ski locker with lock. In dash storage cooler with lock. Rear trunk storage (14 cubic feet) with lock.